Hello all! We’re still here, but haven’t been in enough spots to write a significant update over the past two weeks. This post will come in a few installments over the next few days so we don’t bore everyone with our yadda yadda yadda. 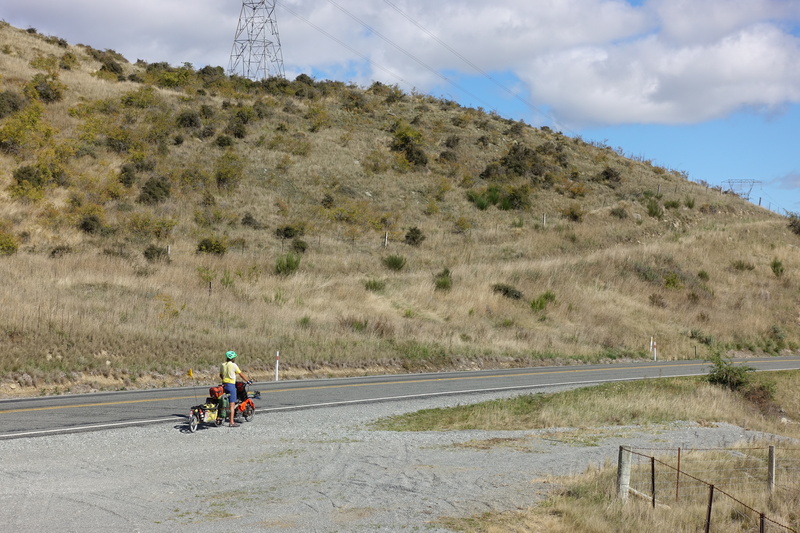 It begins where we left off, in Kurow and will continue up to yesterday, Saturday, March 10th. Pictures are to come as well, but we’re hogging up the restaurant’s bandwidth and we’re currently receiving glares from the management. Oops! 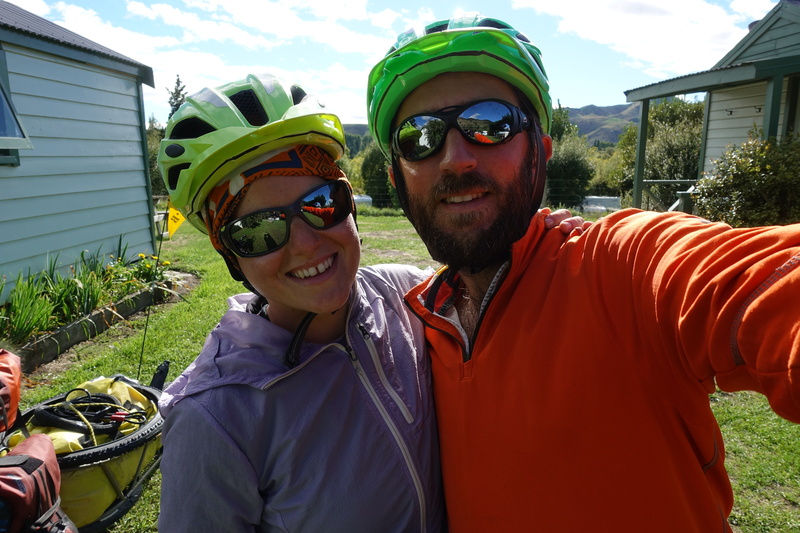 Leaving from Kurow, Cédric, our cycling partner, and I continued up the Alps2Ocean (or rather the Ocean2Alps for us) to reach our destination for the day, Omarama. We were all happy with our decision to shorten the previous day to wait out the wind and rain, because we had warm and sunny weather the whole day instead. After biking uphill to Lake Aviemore, we crossed the dam and enjoyed the quiet road along the lake. 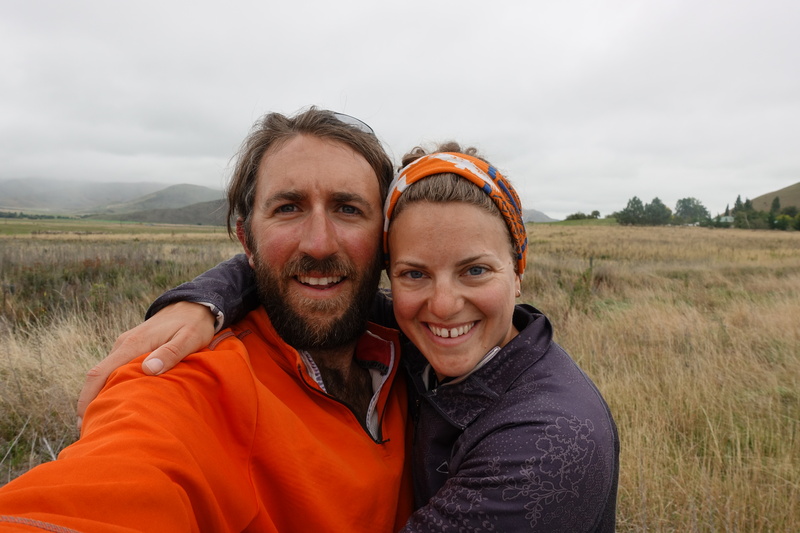 Our day remained a relaxed and relatively easy ride until the evening, where we camped in a field of sheep just outside of Omarama. The next day, Cédric and I awoke to considerably different weather- cold and cloudy. 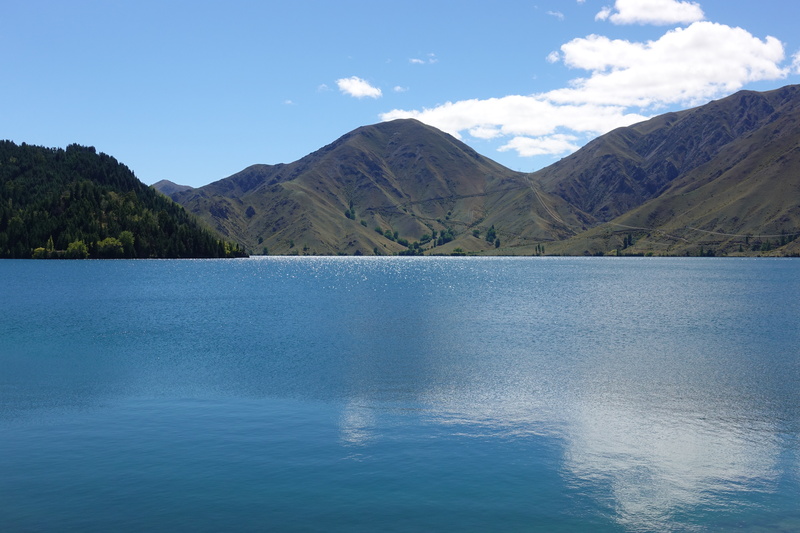 After debating on our plan of action, we decided to get to lake Ohau and then head towards Twizel for the night. 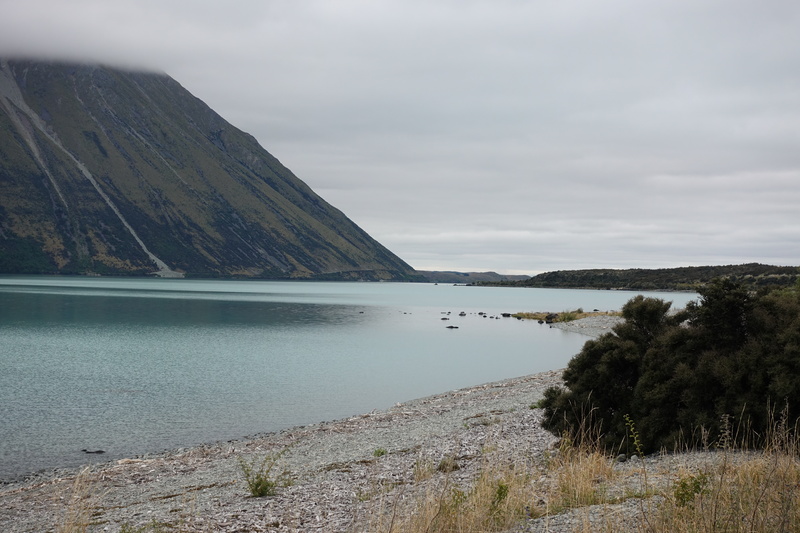 After our lunch in down jackets on the shores of Lake Ohau, Cédric and I continued onto the Alps2Ocean trail. The first gate that we had to go through was an ominous sign that we should have taken the road; although the trail pamphlet touts that all bikes can go on this trail, the trailhead gates only allowed for classic bicycle types without any panniers and unusual over-dimensions. A few minutes were lost to unloading the bike, removing the trailer, hoisting the Hase Pino above the gate, and then reattaching everything. 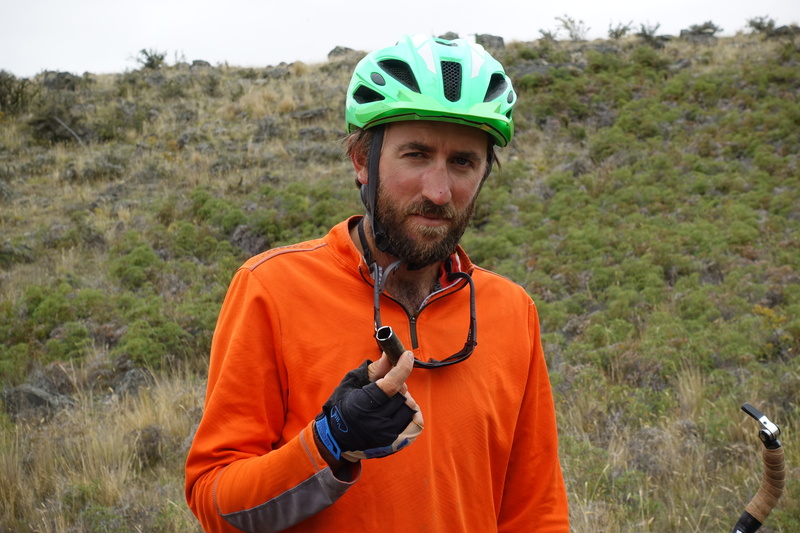 Closer to Twizel, our front tire slid on a bit on wet mud and we made an epic crash (at 1km/hr, so no one should worry at this point). 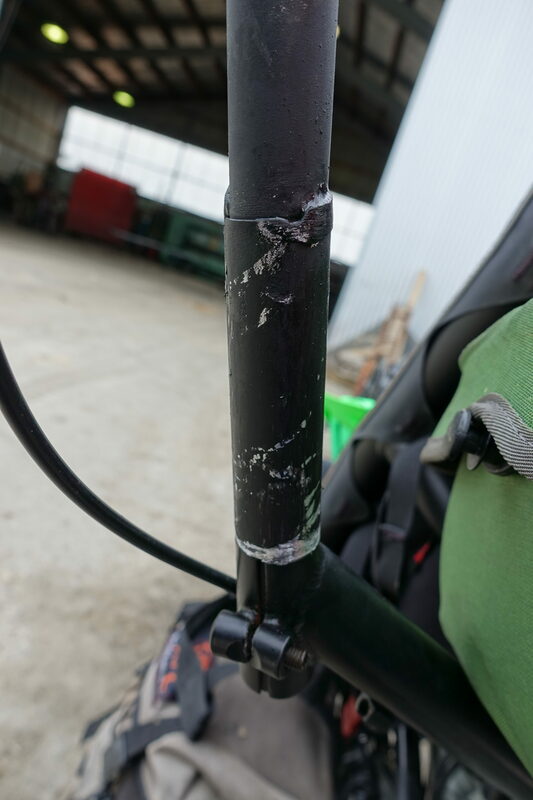 As we regained ourselves and stood up, Cédric noticed something very off about the left handlebar- it was lying in the mud. 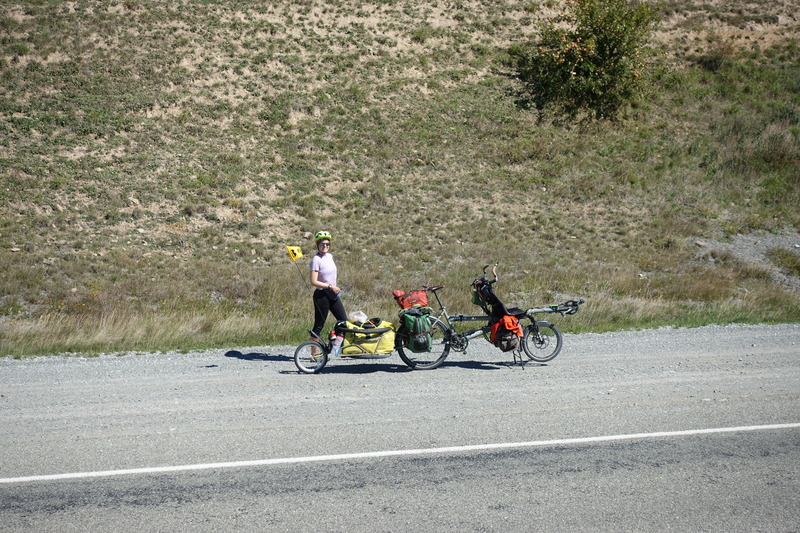 Seeing it there was a shock to our systems and we both immediately started making calculations of the time and money that was going to be lost due to the handlebar: communication with Hase, international express shipping, transfer to Christchurch, etc. After a few minutes, we decided that the quick fix was to shorten both handlebars (and have Cedric in an uncomfortable although probably super-aerodynamic position, basically setting the handlebar for someone of 1m50…) and find a mechanic or plumber in Twizel who could bend a pipe, tube or some type of old mountain bike handlebar lying around. Once in Twizel, we went to the hardware store to see what the owner had to say. 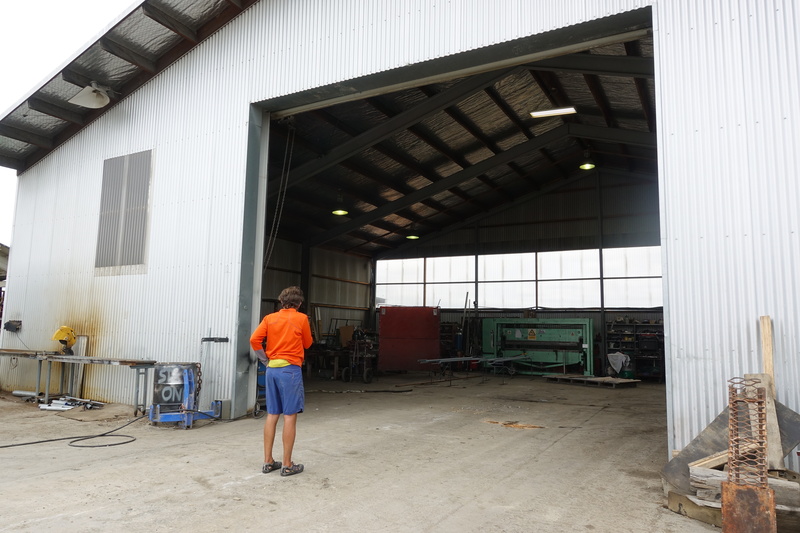 He directed us to an engineering shop just outside of town and told us to give it a try there. As we rolled into the grounds, we felt immediately out of place. 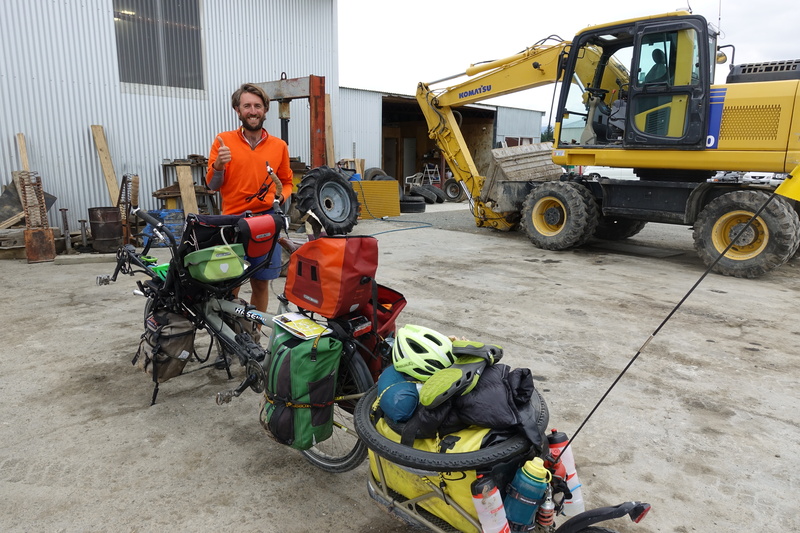 Here we are, with our tandem, standing among multiple decommissioned forklifts, tractors, steel rods and other things… would they be able to help us? As we explained our situation with the handlebar, one of the workers went off looking for a similarly sized tube. Since one wasn’t available (bicycle have the stupid tendency to be designed with inches instead of mm), they came up for the clever solution of making a coupling by machining down the inside of a tube to fit the broken handlebar while machining down the outside of the other end to attach it to the frame. Ever thankful for their ingenuity, it worked, and we had only spent an hour trying to resurrect the Pino. Our new handlebar being now super sturdy, it is also no longer adjustable – for the luck of Cassie who no longer needs to find an excuse to swap positions on the tandem! 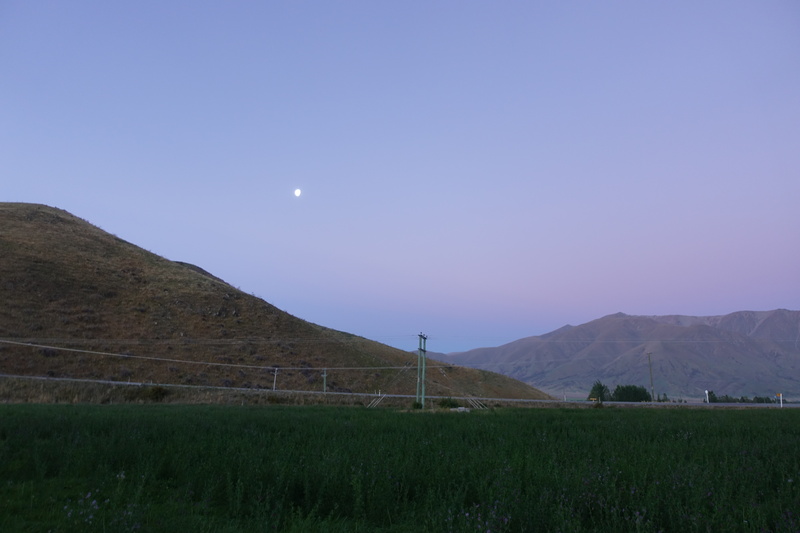 Twizel was eventful with a remarkably bad campsite experience – not sure if that was even worse than the previous weeks or just being fed up with rude, greedy (almost bestial) owners providing not much for overpriced sites – after this experience, we made the decision to no longer pay or go to campgrounds in New-Zealand. 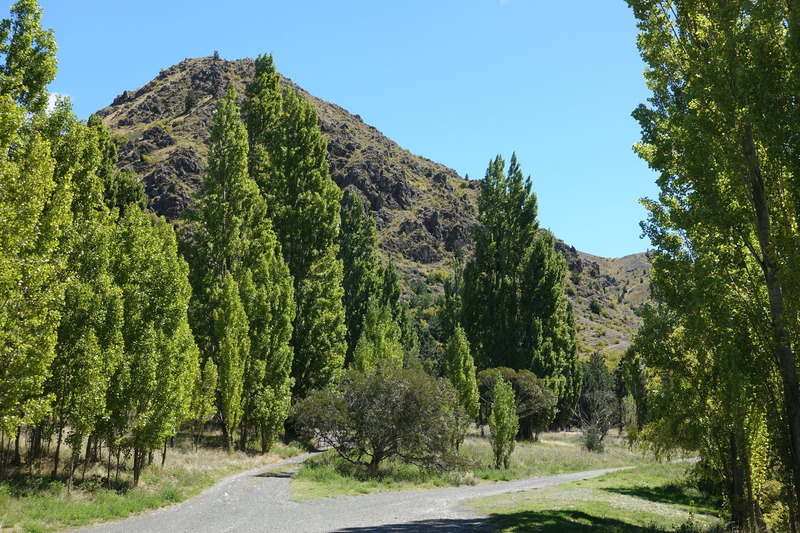 Only the “DOC” (National Park rangers run campsites, usually in protected area), wild-camping (awesome spots, the quietest nights and fresh water in the river! ), backyard of locals or Warmshowers/Airbnb from now on! 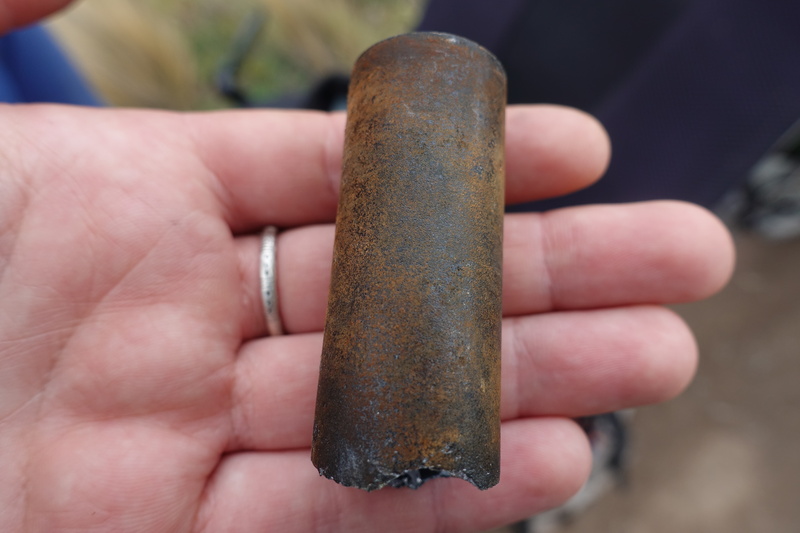 Good the hear that you are all OK after the low-speed slip and fall on the mud mishap, and that you got a repair to the handlebar – a very important piece of hardware on the Pinot (come to think of it, everything is very important). Winding down on your journeys through the ‘Land of the Long White Cloud’ and soon off to the ‘Land Down Under’, I’ll be interested in your comparisons between the two places. Possibly one of them may be added to our bucket list of future travels. Take care you two – Love you.